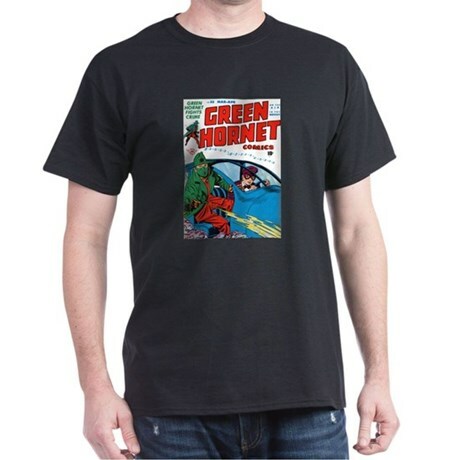 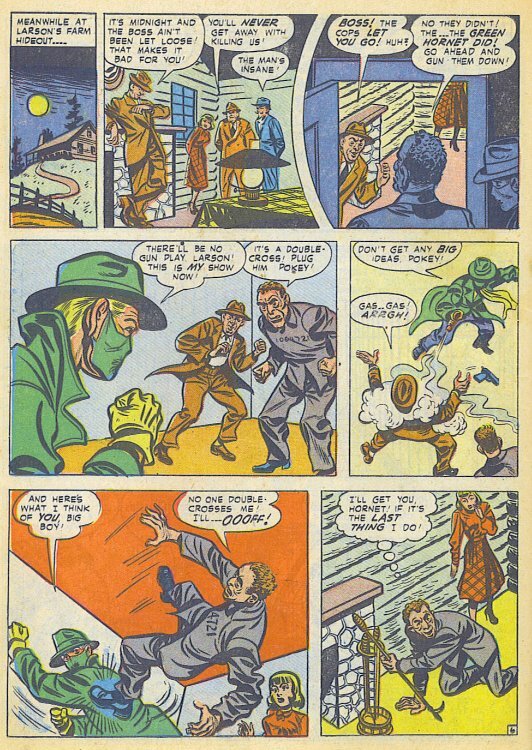 Hero Histories: Reading Room: GREEN HORNET FIGHTS CRIME "Flirt with Death"
Reading Room: GREEN HORNET FIGHTS CRIME "Flirt with Death"
(Don't worry, you didn't miss a Hero Histories™ blog entry! 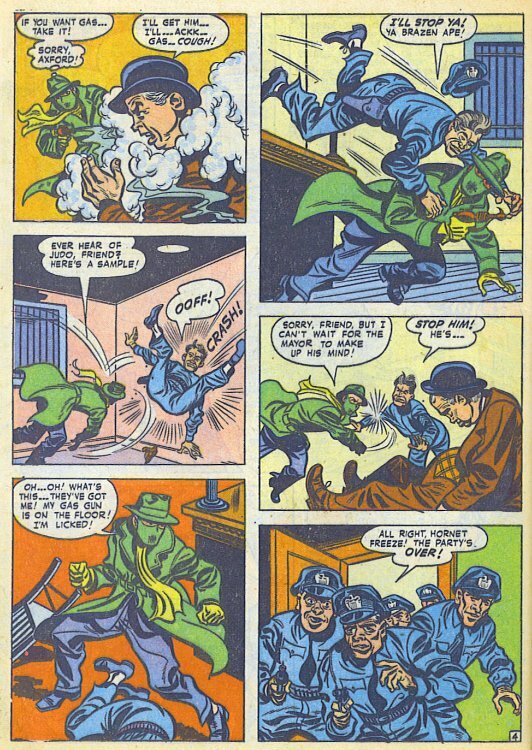 ...which were condensed into two eight-page stories in Green Hornet Fights Crime #43. 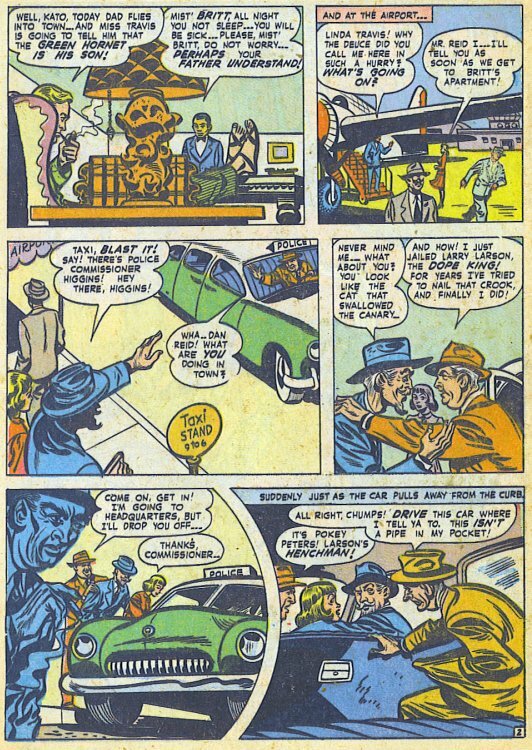 You can hear the Green Hornet radio episode, "Too Hot to Handle", that contributed primary story elements to the comic tale, HERE. 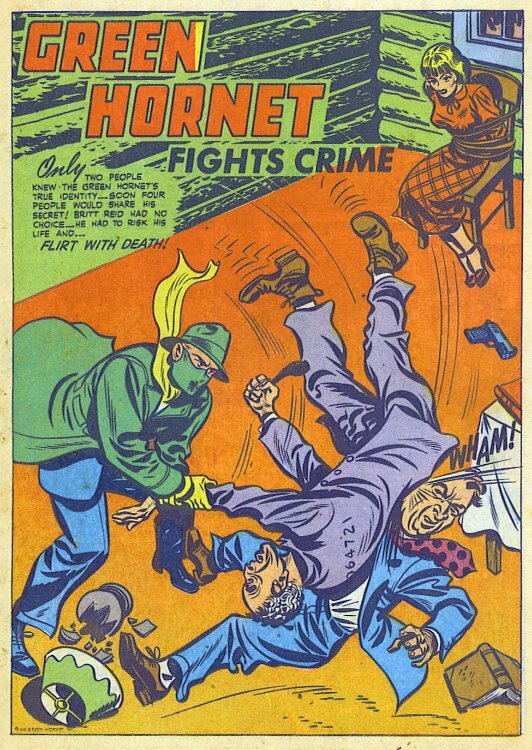 The art on this final (and never-reprinted) tale from Green Hornet Fights Crime #43 (1949) is presumed to be by Al Avison, but I believe he only did the pencils. 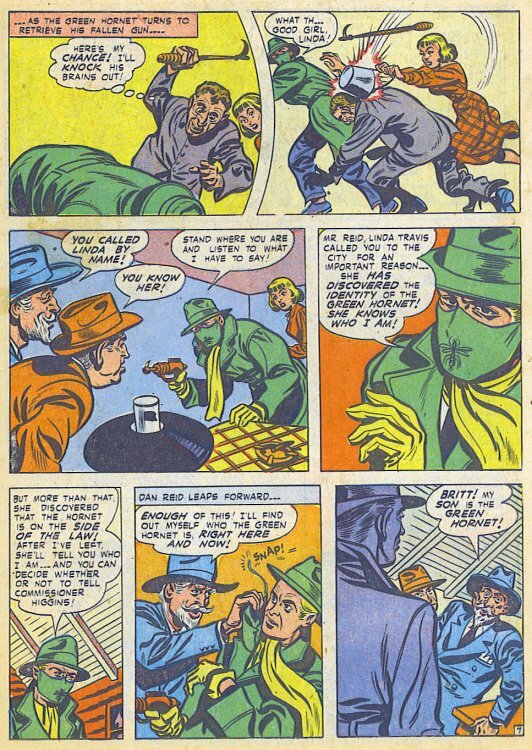 The inking looks a lot like Lee Elias, who was doing, among other things, The Black Cat for Harvey. 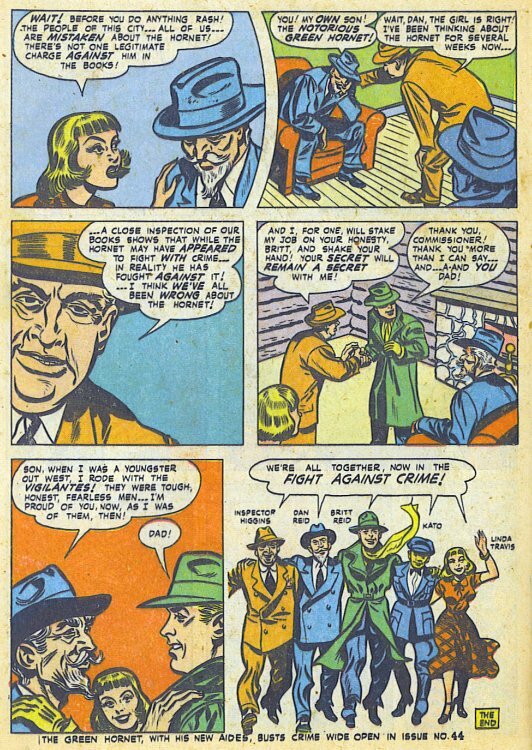 The writer of the comic adaptation is unknown. 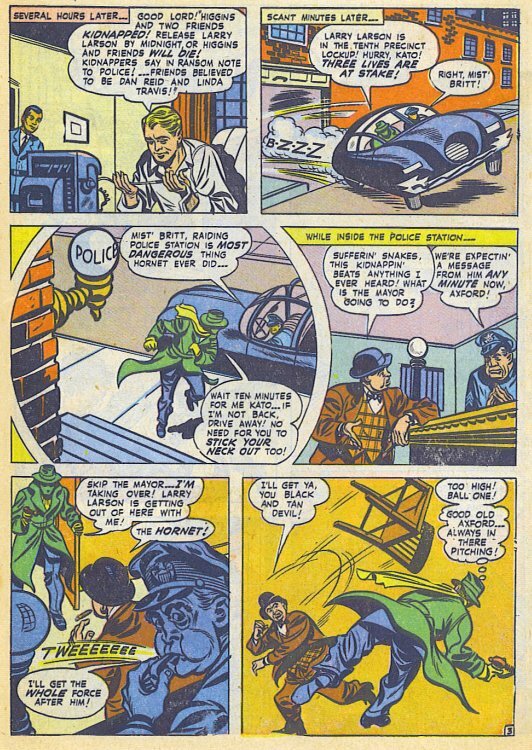 This entry is part of our Retroblogs™ Masks Marathon, celebrating the new Dynamite comic series Masks which combines, for the first time, the major masked mystery men of pulps and comics including The Green Hornet, The Shadow, The Spider, Zorro, The Black Terror, The Green Lama, and Miss Fury (ok, a masked mystery woman), among others. 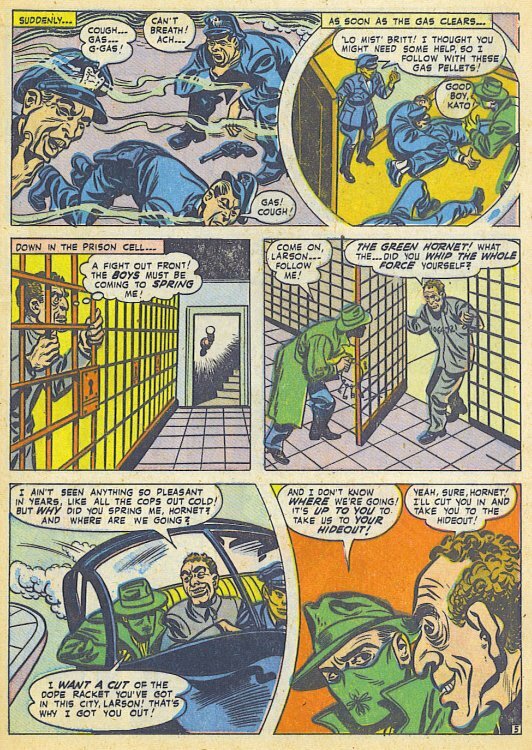 We'll be presenting more never-reprinted stories featuring these characters throughout the month of December.